Free video editing software is an easy and convenient way to edit your videos, and is great for beginners. Most of the free video editing programs have limited editing features, so after a while you may want to look at the mid-level digital video software or the top professional video editing programs. iMovie comes free with new Macs. iMovie offers many options for editing video and audio, and adding photos, music and narration to your movies. 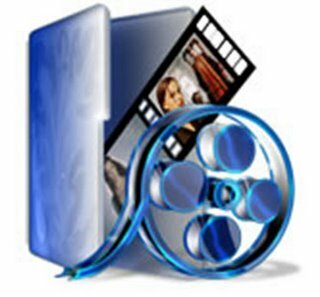 Movie Maker is Window's free video editing software, which comes installed on new PCs. Use the program to create and share high-quality movies. YouTube's video editor is an easy, free way to trim clips or remix videos. The editing power is limited, though, and you'll never get an uncompressed version of the final product. Video Spin, for PCs, is free video editing software from Pinnacle. Video Spin is specifically designed to take the complexity out of video editing, but it still includes tools, transitions and effects so you can easily jazz up your videos. Virtual Dub offers simple editing capabilities. You can't get too creative with the software, but you can use it to make simple, clean edits in your video footage. Virtual Dub works with PCs only. Wax is a bit dated-circa 2004-and the interface looks ancient, but the software comes with a very helpful guide and allows for a lot of creativity. This free editing software works with Macs, PCs and and Linux systems. It's easy to download, with a colorful, sparse interface. "Powering the New Hollywood," Jahshaka is a free, open source video editing software, that will give you powerful editing capabilities. This is a popular free software for Macs. The "trackless" editing system makes it easy to combine video, audio and photos. Besides YouTube, there are several other web applications that provide free video editing online. These services are great for re-editing and re-mixing web videos, and some even offer to produce DVDs of your edited videos.